PhotoDocs, now included with Laserfiche 8, allows for document capture using a digital camera rather than a scanner. The solution contains advanced image processing features that produce clean, usable OCR text from camera images. And because it is able to remove extraneous detail, correct for line curvature, and deskew images, PhotoDocs is ideal for producing readable optical character recognition (OCR) text from digital photographs—particularly those of documents that are difficult to scan, such as book pages. Also at the conference, Timothy D. Welsh, CFP®, a consultant to Laserfiche, will present on the aftermath of the financial crisis and the implications for financial advisors. “The Wall Street meltdown and scandals will most likely result in full regulatory reform requiring increased audits, enhanced security, disaster recovery and business continuity, audit trail tracking and the ability to produce information on-demand,” said Welsh. He will show participants how to recover lost productivity, reduce overhead and streamline workflow through the implementation of Laserfiche Avante, an affordable solution for digital business process management. Laserfiche® creates simple and elegant enterprise content management (ECM) solutions that help organizations run smarter. 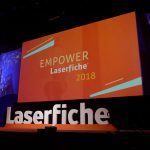 Since 1987, more than 27,000 organizations worldwide—including healthcare organizations, government agencies and Fortune 1000 companies—have used Laserfiche software to streamline document, records and business process management. The Laserfiche ECM system is designed to give IT managers central control over their information infrastructure, including standards, security and auditing, while offering business units the flexibility to respond quickly to changing conditions. 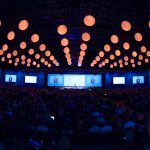 The Laserfiche product suite is built upon Microsoft® technologies to simplify system administration, supports Microsoft SQL and Oracle® platforms and features a seamless integration with Microsoft Office® applications and a two-way integration with SharePoint®.